Finding top talent that fits with your company culture isn’t always easy, and once you’ve secured that perfect new employee you want to make sure they start off on the right note. Your onboarding process should make your new hire feel comfortable, connected to your brand, and ready to start their track to success. Your learning management system (LMS) plays a key role in that onboarding process, and we want to make sure you’re using your SumTotal LMS to its fullest potential through a focused, customized news page. Here’s our suggestions for making sure your onboarding news page supports your goals and your new employee’s learning needs. It’s easy for a new employee to feel overwhelmed. Their first day with your company leaves them with a long list of optional and mandatory learning activities, all within the next few months. How can you reduce that workload and make a better experience for them? 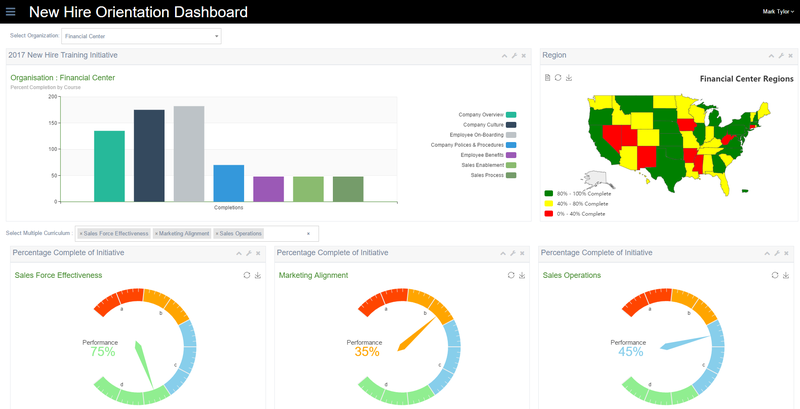 Your SumTotal LMS can revitalize your organisation’s onboarding experience, supporting your employees rather than overwhelming them, through an improved structure and by providing learning in bite-sized pieces. Using your SumTotal LMS, your onboarding process can incorporate features like custom news area, training plans, and observation checklists that make learning inviting and encouraging. A training plan organizes and groups your employee’s training requirements to make it easier for them to understand. It enables the administrator to group similar activities into a goal and bundle similar goals into a training plan. Completion of training plans can be tracked at the plan, goal, and individual training levels. A training plan contains a list of goals and each goal in turn contains a list of learning activities. All the learning activities of a goal should be completed 100% to achieve the goal. Similarly, all the goals should be completed 100% to complete the training plan. Notifications will be triggered when a training plan is assigned to your employee, when the plan is updated, and when a training plan assignment is removed. An observation checklist is a list of tasks assigned to your organization’s learners. It gives learners a way to mark their progress on training assignments (such as curricula) and to easily communicate information to managers and administrators. Once an administrator has created and assigned an observation checklist, learners and observers can use the checklists. 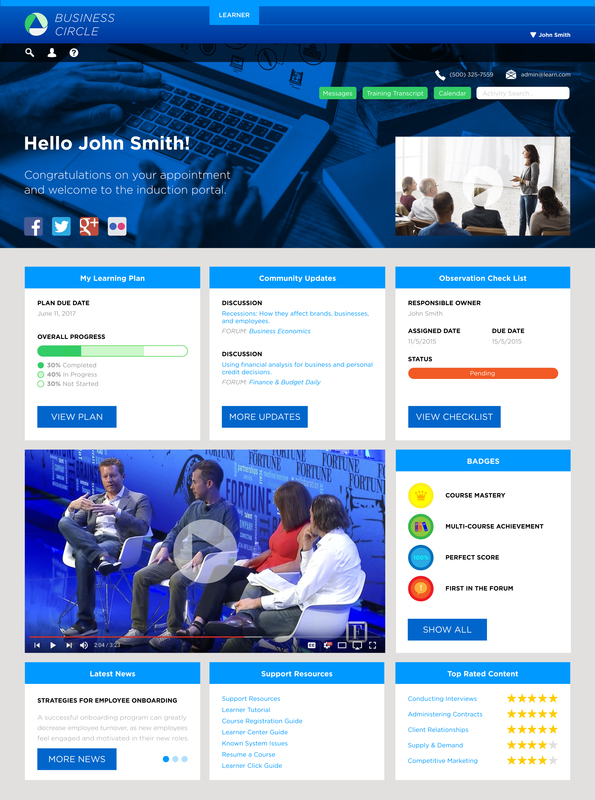 Your SumTotal LMS allows for flexible training plans, enabling you to organize goals into bite sized content pieces like videos, e-learning, quizzes, documents, forums, instructor-led training (ILT) and more, all under the heading of a single goal. In the image below, you can see an example where learning activities have been carefully outlined, explaining the media type, the activity’s length, and whether or not the activity is required. This kind of detailed structuring reduces any feelings of fear or uncertainty associated with your new employee’s onboarding experience, leaving them feeling supported and ready to learn. We can embed your company’s YouTube channel; show popular courses, support resources, and latest news; and gather feedback on your entire whole onboarding experience – all directly within your SumTotal LMS. Large organizations tend to have onboarding processes that are primarily digital, supplemented with offline training that involves the assistance of managers, coworkers, mentors, etc. With your already busy schedule, how can you be certain that your new employees are keeping on track? In the initial stages of your new hire’s training, a mixture of digital and offline activities can allow you to strike a balance between capability-based and empathetic learning. Any new employee, no matter how self-motivated, will require some degree of human interaction with their coworkers, managers, mentors, subject matter experts or coaches. Your learning solutions, through SumTotal LMS, must empower your new hire to undergo productive, self-paced learning while still operating as support tools for your businesses’ performance. Formal courses are just one small way that your new hire will be learning. Most of that learning will actually occur while on the job, both from individual experience and from communicating with their peers. So, your onboarding experience will additionally need to include a good deal of opportunities for social learning and networking. To cut back on administrative efforts involved in the onboarding process, and to personalize the learning, your SumTotal LMS domain and audience management features can be used to develop a training programme that contains role-specific content and suits your learner’s learning preferences. To enable your new hire to make the best use of his or her efforts, your programme should be well-structured with content that is easily identifiable as required or optional. Final personalized touches to your SumTotal LMS can include rewards (where appropriate), blogs and forums to boost social interaction, and ILT interventions that enable your learners to control their own time. Your company’s SumTotal LMS can be a powerful tool when it comes to empowering your new employees and customizing their onboarding programme. 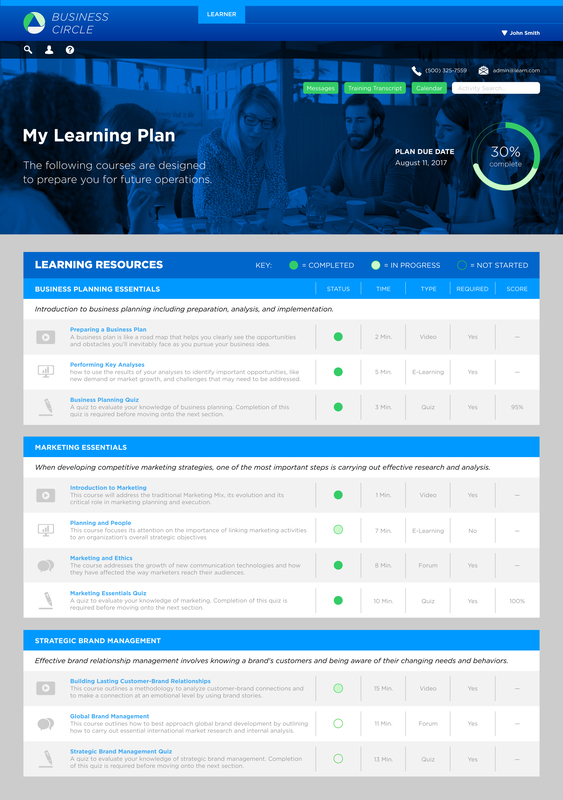 When used effectively, it can meticulously map a learning plan that suits each learner’s needs and can provide access to the exact individuals, tools and resources required for effective learning. The onboarding content of your SumTotal LMS could be the very first interaction your new hire has with your brand, and it is important that this initial impression be a great one. This is the first opportunity for you to set expectations by explaining your business, your brand and what it stands for, your people, and your corporate culture – including the look and tone of voice you expect your employees to project. This process starts when potential hires are deciding whether your business aligns with their own beliefs and work style, and continues on into the onboarding process whereby you can set and ingrain expectations from the very beginning. Your SumTotal LMS gives you the chance to explain your brand and corporate culture in a way that cannot be communicated simply through content. It allows you to provide your new hire with a variety of learning tools and other resources, together with a clearly defined plan, that allows them to feel valued. This not only ensures that you demonstrate confidence in your new employee’s ability to be successful, it demonstrates your own dedication to success. It is important to measure the success of your onboarding process to find out what works and what doesn’t for your new employees and their teams. Routing your onboarding via your SumTotal LMS allows for this evaluation. SumTotal LMS’ reporting tools allow both the managers of new employees and learning and development managers to assess and keep track of your onboarding success, including the programme’s strengths and weaknesses. Constantly evaluating the success of your onboarding process, particularly through connecting with your learners, allows your SumTotal LMS to adapt to their demands. Such communication and measurement allows you to gauge whether your LMS is meeting learning needs and serving its intended purpose. Determining a strategy using quantifiable questionnaires and SWOT analyses allow you to reevaluate your LMS year-on-year and adapt it to learning trends and the requirements of each new set of employees. Everyone appreciates a little bit of positive reinforcement: your new hires are no different from the employees that have been with you for years. In fact, new employees may be even more receptive to rewards as they are eager to know whether they are making a good first impression. The best onboarding processes incorporate some form of reward, often in the form of open badges. At the forefront of the onboarding process, rewards can be used to bring about feelings of acceptance and good rapport. As the onboarding continues, the system can shift from emotion-based rewards to more business-focused rewards based on the learner’s competencies and proven ability to perform in their new role. No matter where your new learner is in their onboarding experience, rewards can produce and maintain motivational feelings of empathy and value. We know how important your employees are to you, and every new hire is a new chance to get your onboarding process just right. With the right news page for your LMS, you can start off on exactly the right page with a welcoming attitude that encourages a deep connection to your company while setting expectations and charting the right course. To find out more on how Earthly Systems can help you design news pages that suit your needs, contact us at info@earthlysystems.com.